Is caffeine from tea less jolting? We love tea as much as the next person (okay perhaps a bit more). We are also a bit geeky by nature so we are fascinated to learn more about tannins, polyphenols, terrior, and other science related topics in the world of tea. We have also learned to be a bit skeptical as well. 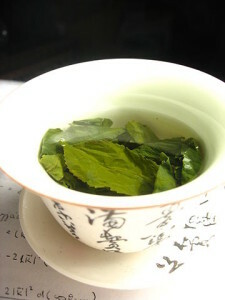 There are loads of claims attributed to tea being able to cure all kinds of health problems. There seems to be no end to the claims made around tea and tisanes. Most of these claims, however, utterly lack quality sources and rigorous scientific inquiry. So it is with one of the more fascinating claims we have come across; that the caffeine in tea is somehow different or better than that found in coffee. Specifically, there are quite a number of websites claiming that the caffeine in tea is either “slow release” or is absorbed into the bloodstream more slowly. As the theory goes, this property makes tea a better choice because it doesn’t have the significant quick jolt found in coffee. What’s more the theory suggests that the caffeine stays with you longer, providing an enhanced sense of alertness and clarity. It turns out that caffeine causes quite a number of reactions inside the body stemming largely from the brain. Specifically, as the body gets tired it is believed that adenosine molecules builds up in the brain where they attache to aptly named adenosine receptors. This in-turn causes you to feel drowsy and triggers sleep. 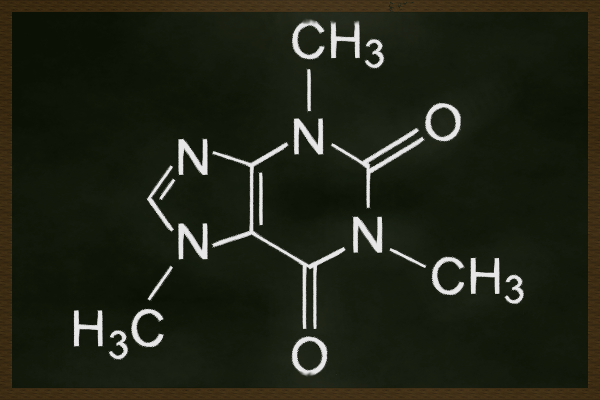 It turns out that caffeine fits nicely into those adenosine receptors where the brain happily doesn’t get the message that it should be tired. In a cascading effect, it is believed that neurons in the brain begin firing because of the blocked adenosine receptors, the body begins to think its under attack, and the pituitary gland starts releasing adrenaline and the body goes into fight or flight mode, ready for anything. All this leads us back to the earlier theory about how the caffeine in tea is somehow different from caffeine found in coffee, soda, or myriad other products. Realistically, caffeine is caffeine is caffeine. It’s all the same molecule, whether it’s coming from tea, coffee, chocolate, medicine, or so-called energy drinks. What is fascinating, however, is how the body behaves when caffeine is ingested with other substances. While tea has long been believed to deliver a less jolting caffeine effect science hadn’t been able to explain it (and really still hasn’t). There have recently been a few studies which look at caffeine in combination with compounds present in tea that appear to shed light on the subject. 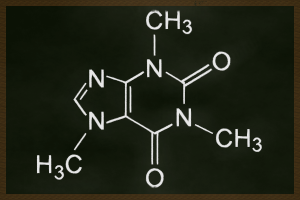 In particular, research has been looking at L-theanine, an amino acid found primarily in plants and fungus materials in combination with caffeine. Tea, as should be obvious at this point, contains L-theanine. Researchers in two different studies (referenced below) have found some linkages in the combination of the two compounds to favorable alertness, cognitive performance, blood pressure, and heart rate. The kicker, however, is that the study participants were given 40-50 mg of caffeine and 90-100 mg of L-theanine. According to research by Dr. Emma Keenan at the University of Bristol (UK), a standard cup of black tea, quoted as 200 ml or a bit over 6 oz, has 24.2 +/- 5.7 mg of L-theanine. This is one quarter the amount given to study participants when looking at the combination of both caffeine and L-theanine. For green tea this was even lower at 7.9 +/- 3.8 mg of L-theanine. Even if you double the amount of tea consumed to a (perhaps) more reasonable 400 ml or 12-13 oz, the amount of L-theanine is still about half the amount used in study. For its part caffeine varies wildly in a cup of tea ranging loosely between 30 and 120 mg of caffeine (we will be doing another blog soon which may further challenge assumptions about caffeine in tea). So is Caffeine in Tea Different? From our vantage the caffeine in tea isn’t different at all. Its still caffeine. What may be different is how the body responds to the combination of tea, L-theanine, and other compounds present in tea. There is promising research to suggest that L-theanine in combination with caffeine may boost alertness and cognitive response but we wouldn’t feel comfortable making that claim without more research and realistic dosages that mimic real-world consumption of tea. This entry was posted in General Tea Background and tagged Black Tea, caffeine, Tea. Bookmark the permalink. Thanks so much for the comments Cassie. Glad to hear you valued the blog this week (and consider us to be a good purveyor). Cheers!